Resort living at home! 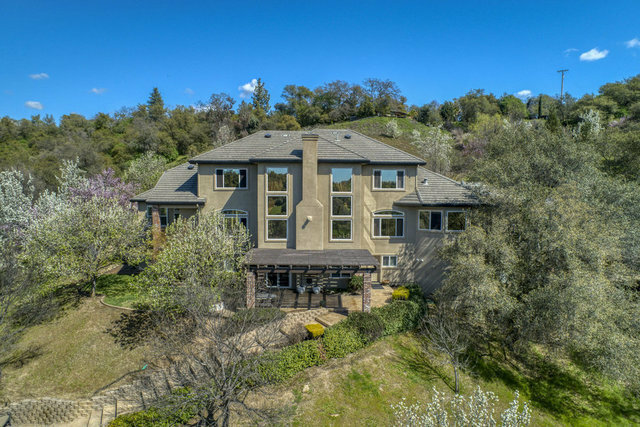 This luxurious estate provides a comfortable and private retreat, while remaining conveniently within the town of Loomis. Enjoy the ornamental craftsmanship throughout, spacious lounging areas, and awe-inspiring views from the comfort of your living room. Whether hosting indoor parties or summer barbecues by the pool, this home offers numerous areas for entertaining, including an outdoor kitchen and dining area, and an in-house wine cellar! This property provides ample garage space for up to 10 cars, with two separate detached garages, including an industrial garage for a recreational vehicle. With exotic waterfalls, flourishing surrounding landscape, and a broad overlook of Clover Valley, this house is an essential destination! Feeds to Rocklin Union School District and Del Oro High School.